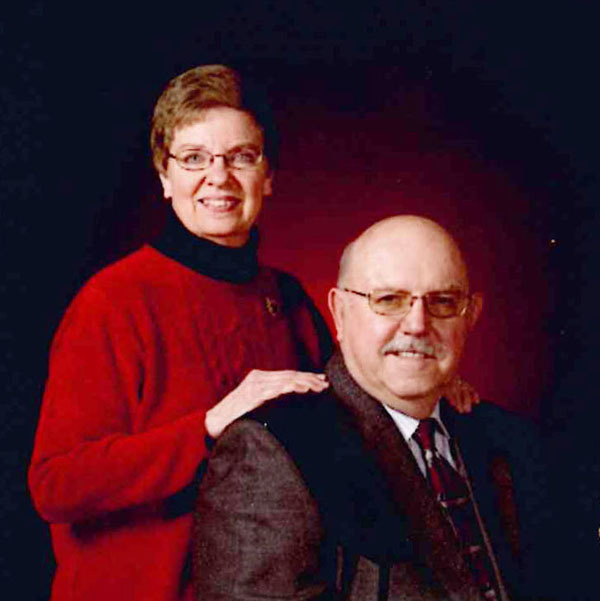 Ralph and Phyllis Kreutziger will celebrate their 50th wedding anniversary April 15. Ralph Duane Kreutziger and Phyllis Nadine Stenzel were married in 1967 at Eastmoor Unit­ed Methodist Church in Marion. Ralph was in construction most of his working years with Jost Construction Inc., Marion, as a superintendent and corporate partner. In 2002, he began work­ing for Hett Con­struc­tion as an estimator for eight years before retiring. Phyllis worked as a legal secretary for Morse and Batt Attorneys in Marion. Later, she served as deputy clerk in the Marion County District Court. Before retiring she worked part-time as a secretary in the Marion County Clerk’s office. The couple enjoyed going on Volunteers in Mission trips to Central America, Mexico and the U.S. They were both active in the American Red Cross disaster services for almost 10 years and were always ready to respond to disasters whether they were local or national. In 2015, they moved to the Cedars Retirement Com­mu­nity in McPherson where they enjoy the new lifestyle and new friends. Cards and well wishes may be sent to 1009 Darlow Drive, McPherson, KS 67460.